Despite repeated appeals and calls for amnesty from her children and the Pope, Georgia executed a female inmate for the first time in 70 years early Wednesday morning. Owen and Kelly Gissendaner discussed killing Douglas Gissendaner “on four or five occasions, all at [Kelly] Gissendaner’s initiation, before reaching a final agreement to kill him,” according to Georgia’s Attorney General’s office. “It was agreed that, on Feb. 7, 1997, while [Kelly] Gissendaner was out with friends, co-defendant Owen would kill Douglas. The murder went exactly as Gissendaner planned,” the office of the Attorney General said. Owen hit Douglas Gissendaner on the back of the head and then stabbed him in the neck eight to ten times, according to the Attorney General’s Office. It was the third try for Georgia, which reportedly had to cancel previous attempts to execute Gissendaner due to inclement weather and, later, “cloudy” lethal injection drugs. “While not wishing to minimize the gravity of the crime for which Ms. Gissendaner has been convicted, and while sympathizing with the victims, I nonetheless implore you, in consideration of the reasons that have been presented to your Board, to commute the sentence to one that would better express both justice and mercy,” the letter read. 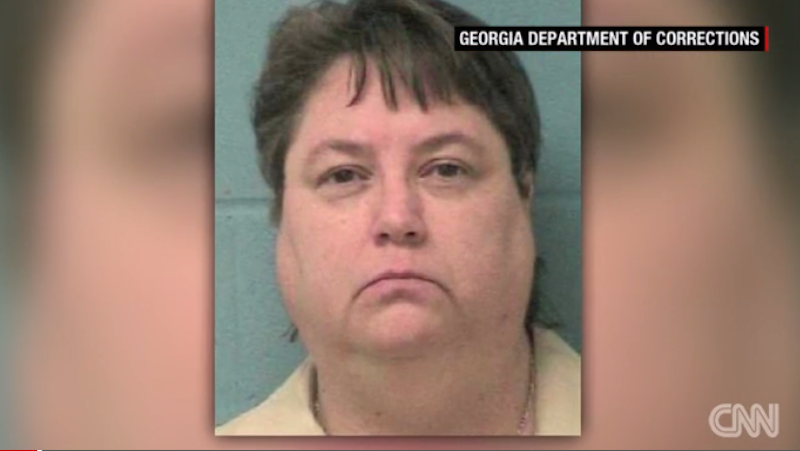 Gissendaner died at 12:21 a.m. Wednesday. Her last meal was cheese dip with chips, Texas fajita nachos and a diet frosted lemonade, and she was reportedly singing the song “Amazing Grace” as the lethal injection was administered. Image via CNN. Contact the author at gabrielle@gawker.com.